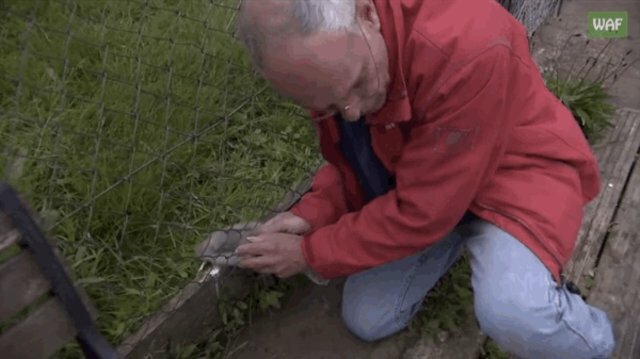 When one baby swan got his little tufty self stuck in a fence, Wildlife Aid was called to step in and give the little cygnet a helping hand. 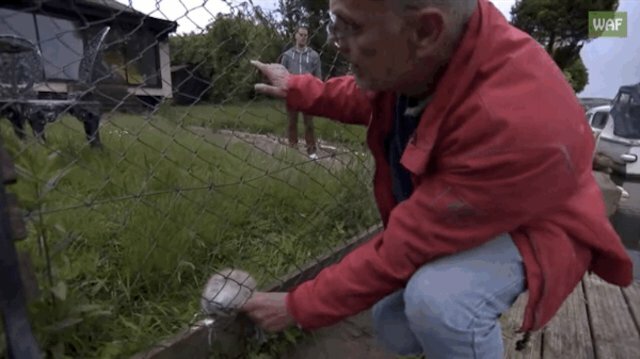 When the team arrived on the scene, the little cygnet had wedged himself through a hole in a chain-link fence in an attempt to join his family in the water. The little bird was peeping frantically, clearly distressed about his current situation. 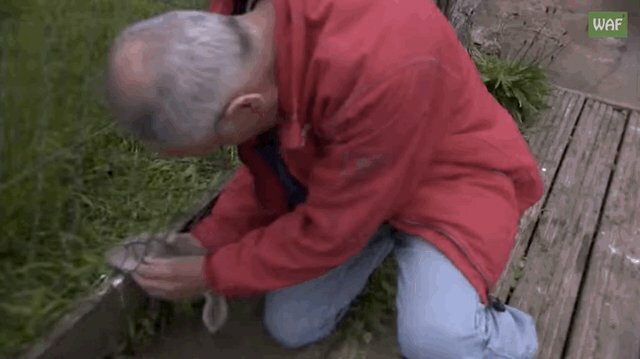 To make matters even more complicated, the baby swan's dad was not too keen on having humans getting so close to his offspring. 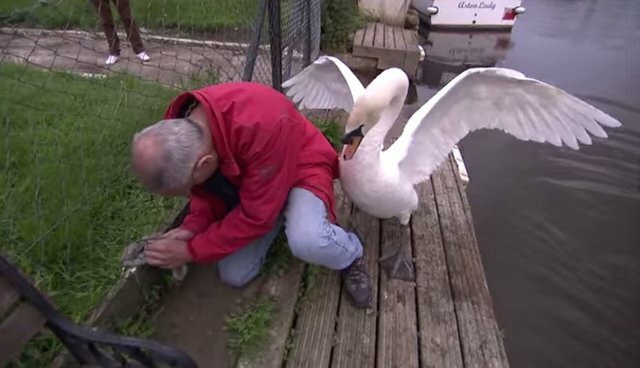 The male swan, or "cob," beat his wings aggressively against Wildlife Aid rescuer, Simon. The cob waddled close to oversee the proceedings and make sure that this new human didn't try any funny business. ... which Swan Dad grudgingly appreciates. Though he still isn't too sure about Simon. Swans are known for being aggressive, but their territorial behavior is often due to the male swan protecting his family, as swans generally mate for life. 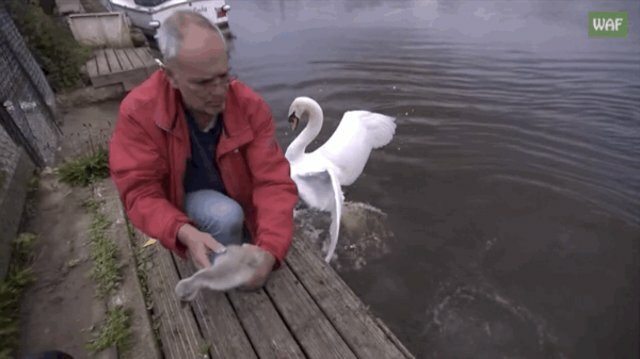 It should be noted that the swan aggression can occasionally have detrimental effects, as it prevents native waterfowl from nesting anywhere near the swans (which are actually an introduced species in the United States).